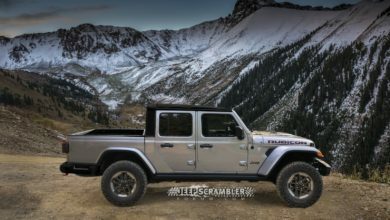 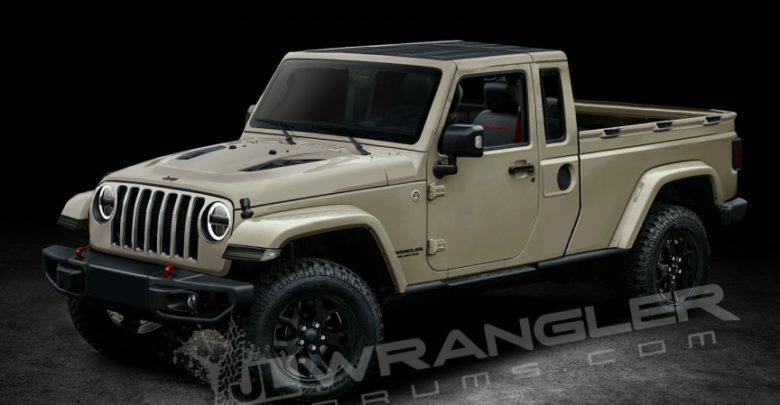 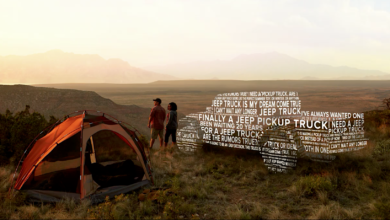 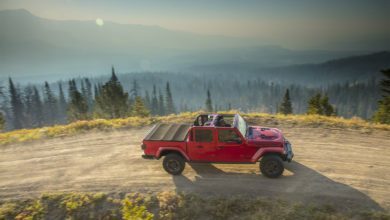 The Jeep Scrambler Pickup (JT) is not due until approximately a year after the JL/JLU Wrangler (as our schedule shows), but JeepScramblerForum has brought it to life in digital form in our latest preview renderings. 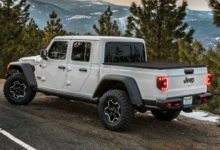 Working from the recent JT Pickup spy photos, leaked JLU images, and our recent insider info, we present the JT Pickup Rubicon in 2 and 4 door models. 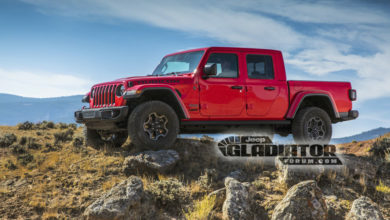 See inside for what our insider info has revealed, as well as our full set of digital previews.